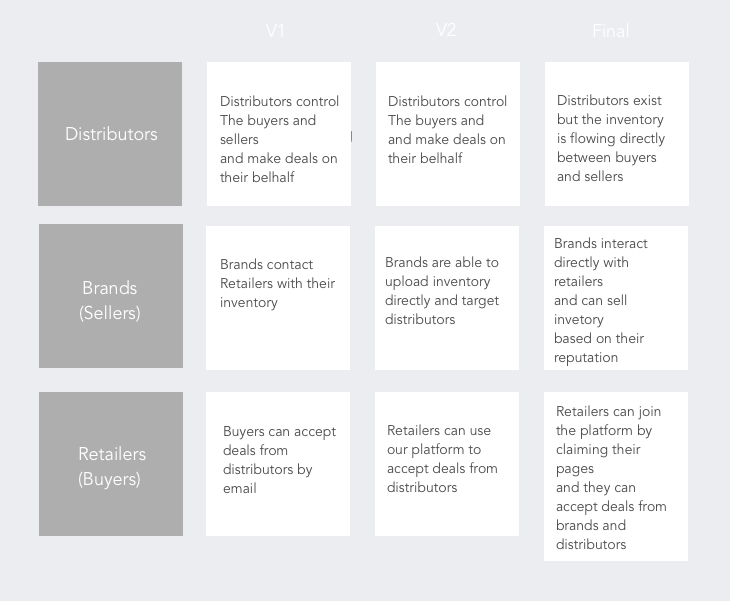 Distribute is a platform for wholesale product distribution. I worked with leadership to define the product strategy and roadmap. I also designed the user experience, conducted research, as well as collateral to raise their seed round. How might we surface inventory and reduce deal velocity? 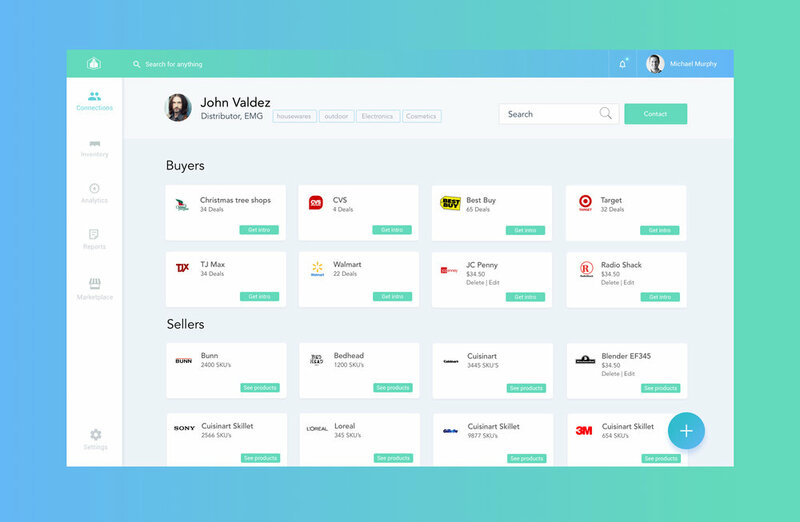 The goal of this project was to create a product strategy and concepts for a platform to help product distributors expose their inventory and improve their deal velocity. We worked closely with our focus group and business stakeholders to understand and frame the problem. Through extensive user research, and design sprints, we were able to gain a shared understanding of the core pains. Product distributors have thousands of products, unsold because they have no way of surfacing it and that there was a market with demand for those products. We learned that connecting the buyers' inventory to the sellers was the key improvement needed in their workflow. We used the artifacts from the discovery phase to map out the core user flows. We created prototypes which we gave to our focus group so we could stress test the experience and ensure that it was supporting our user goals. I key challenge here was creating a platform that could be used with a minimum level of technical understanding. In our initial prototypes, our focus group expressed that they were not familiar with certain visual indicators we used ( hamburger menu etc ) and felt like they were being overloaded with information. We iterated to create an experience that focused on ease of use and clarity.